Rockbot developed a solution that satisfies companies, customers, and Rockbot itself. Is it magic? Nope, it’s just a well thought-out strategy and an astonishing understanding of end users! 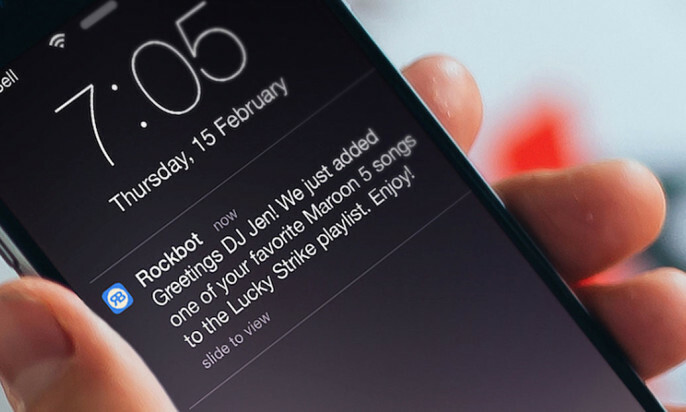 Rockbot, based in Oakland, California, is a music platform for businesses, such as restaurants, hotels, gyms, and other venues where music background is essential for customers. It’s a kind of virtual jukebox that enables businesses to compose their own catalogs and the visitors to vote and request songs from among available ones. But what if an algorithm knew which piece a visitor would choose? What if it lined it up automatically once he or she enters a location? You’re right. There are beacons involved here. 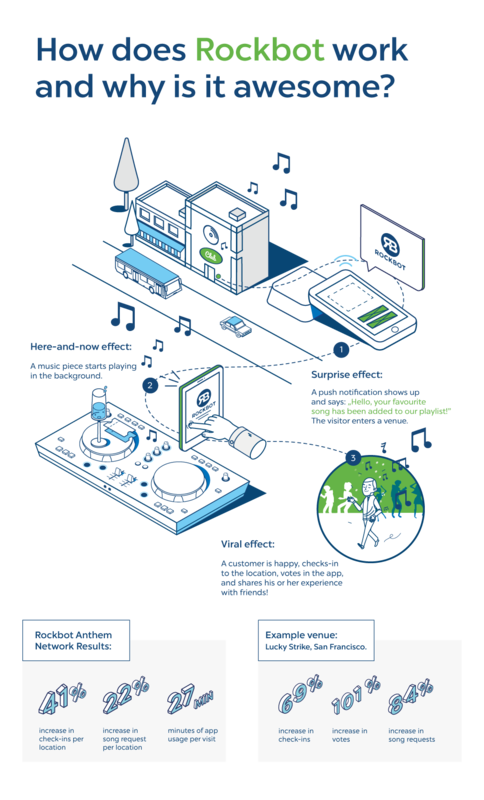 Recently, thanks to Kontakt.io Smart Beacons, Rockbot enhanced their app with an “Anthem” feature. It automatically plays consumers’ favorite music when they walk into restaurants, bars, stores, gyms, and other venues. In the competitive and cutthroat app development world, the most important thing you can do is delight your users. Imagine how surprising and delightful it is to hear your favorite music when you walk into a store! By such an elegantly simple means Rockbot enhances the customer experience, delivers fun, and creates memorable brand interactions. Actually, there are two more parties that benefit too. Venues may count on customers’ word-of-mouth and profit from their social activities (who wouldn’t share such an extraordinary experience with friends?) and the Rockbot app becomes more desirable for customers (if you don’t have it, you’ll miss out the opportunities it provides). This increased engagement does more than get people’s heads nodding: it drives users to interact with Rockbot and the local venues. Across the board, companies that have turned on the new Anthem feature have seen a 41% increase in check-ins per location and one restaurant saw a 101% increase in just TIME! Rockbot drove engagements, as measured in votes and song requests. Isn’t it a great example of the power of proximity? Get your Smart Beacons now! We could go on about this, but a picture is worth a whole lot of words, so here’s the simple version of what Rockbot’s accomplished. Share it around if you love it as much as we do! I’m new to beacons. Does all of this require a specific app to already be installed on the customer’s phone? Not really understanding how this works, it makes me think of qr codes and how they never really took off because most people didn’t have a qr code app or understand what it was for.